For many potential buyers, one of the biggest obstacles on the road to homeownership is saving for a down payment. But thanks to a new technology trend, some savvy buyers are turning to their friends, family, and social networks for help. While crowdfunding has long been a popular trend, until recently it’s been mostly limited to the business world. But according to a recent article in The Wall Street Journal, crowdfunding for home purchases is on the rise. There’s even a crowdfunding platform specifically for homeowners. HomeFundMe is the first crowdfunding platform specifically targeted to potential homeowners looking to crowdfund a down payment. Potential homeowners are given 12 months to reach their down payment goal, and all funds are wired from an escrow account to the seller when buyers make their property purchase. HomeFundMe is still new (the platform launched in October 2017), but results so far are promising; according to the WSJ article, approximately 400 buyers have used the service to help crowdfund their home purchase since the launch. If you’ve been thinking about buying a home but haven’t been able to save for a down payment, crowdfunding could be a way to make your dreams of owning a home a reality. GRI, MRP, ABR, AHWD, e-PRO, CRB, GREEN, Oklahoma Licensed Home Inspector. 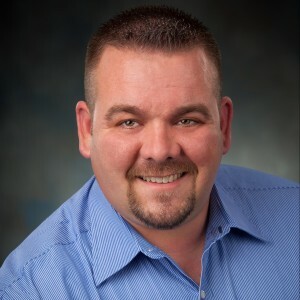 Benjamin Floyd is the Owner / Managing Broker, REALTOR® at 525 Realty Group. Benjamin has been a licensed realtor since 2000. His unique background includes marketing, sales, management, home inspections, commercial renovations, commercial building, home renovations and home building. His experiences have taken him down many paths, all of which are beneficial to his work in the real estate profession.